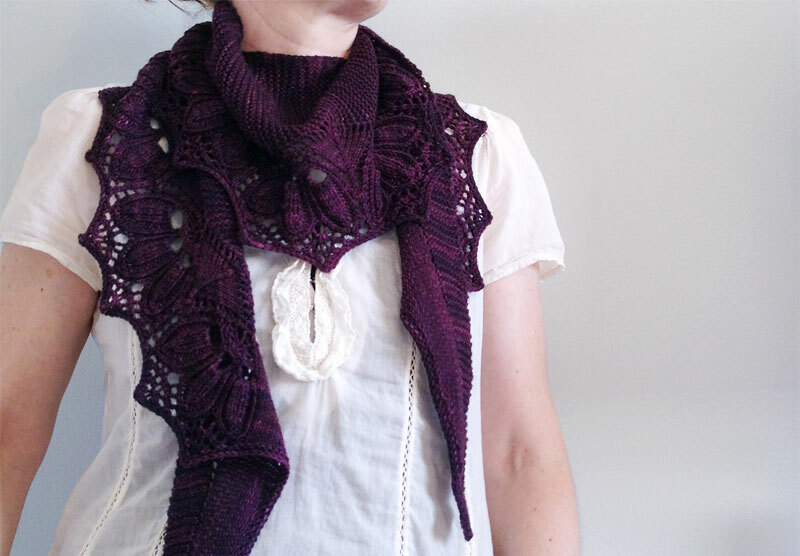 kimley knits | We Have Weather! Here in sunny Southern California, that doesn’t happen all that often and frankly I rather like the somewhat monotonous continued sunshine. But the nice thing about a bit of precipitation and temps below 70 degrees (yeah, we’re wimps here!) is that I can finally don all the lovely wool items I’ve been knitting up the last several months. This is a gorgeous pattern designed by Janel Laidman and one of the many lovely patterns in the first issue of The Sock Report. 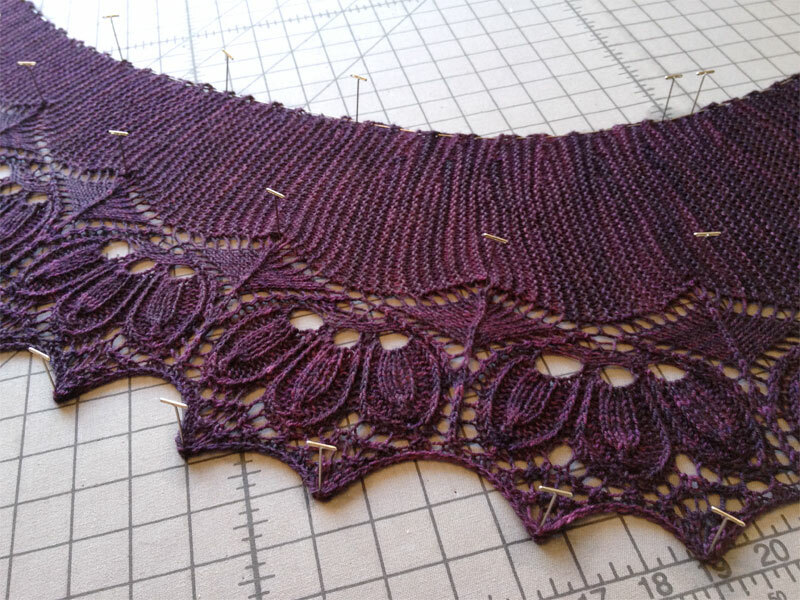 I had been admiring this pattern for a while and was a bit intimidated by what looked like some complicated lace but I was very pleasantly surprised at how easy and quick this was to knit up. 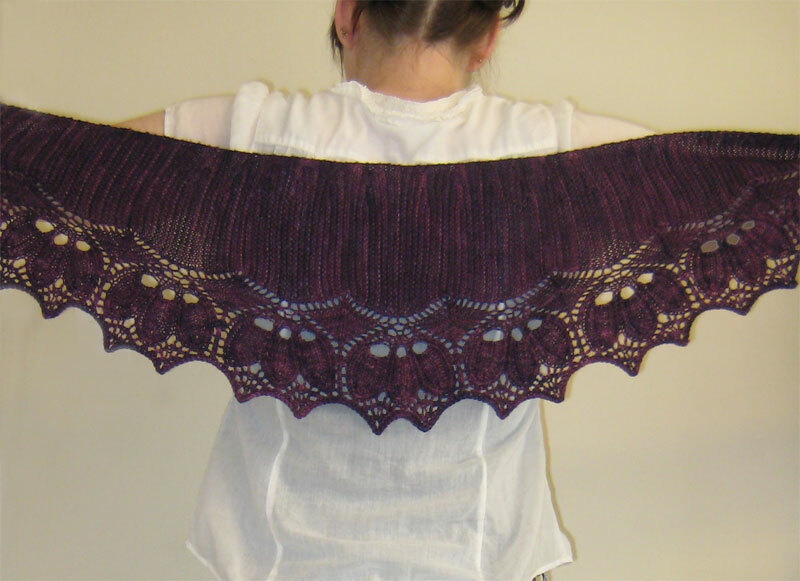 Certainly not a beginning lace pattern but if you have knit a few easy lace patterns then this is an easy next step up. And coming soon… I finished my Nanook sweater and can’t wait to reveal it in all its wooly glory although I still need to find a nice button for it. It’s a fantastic pattern. Unfortunately all the rain we’ve been having has left my sweater wet from blocking for over 3 days now. But it’s just a tiny bit damp at this point and I think it will be dry by tomorrow. I rarely manage to actually finish knitting an entire sweater so to celebrate I immediately cast on for 3 new projects. Ha!